After the Spice Girls performance at the Closing Ceremony, we've definitely got spice fever! 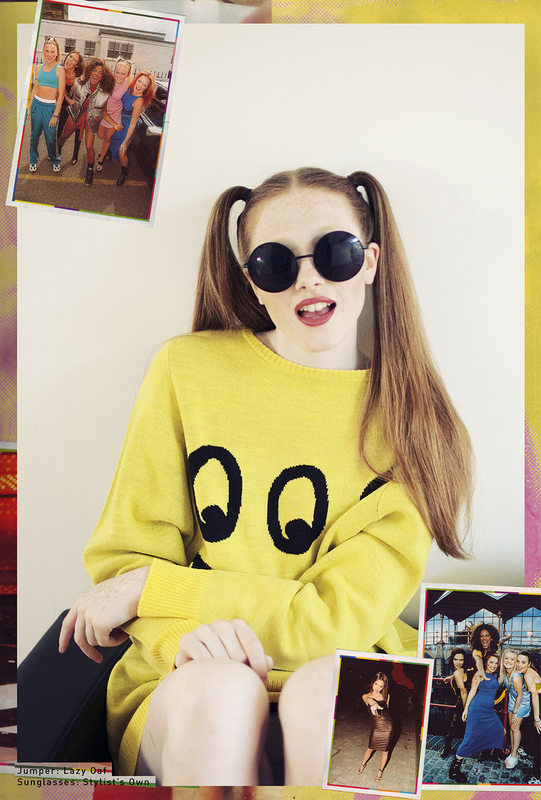 So we were no doubt excited to see Haunt Magazine giving our AW12 collection a dose of girl power in this Zig A Zig Ah photo shoot in issue 2. Photographer: Rebecca Hawkes; Stylist: Emily Beard; Hair & Make-up: Jessica Mejia; Model: Caitlin at Select. Lazy Oaf x Jeffrey Campbell Trotter Boots. Real Happy Yellow Jumper - coming soon!